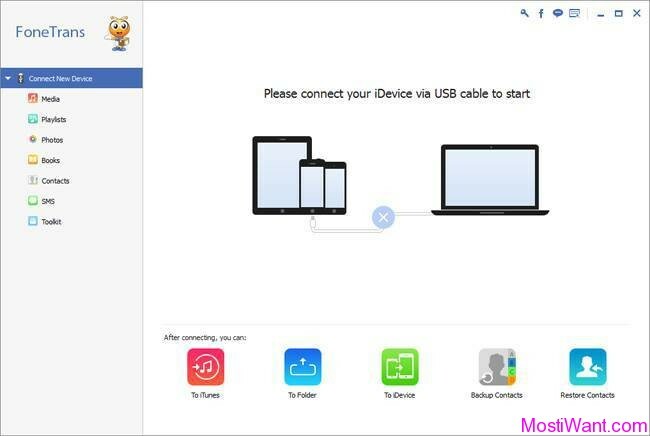 IOTransfer 3 Pro is an easy-to-use iOS file transfer and management tool that helps to manage your iOS devices in all-around. 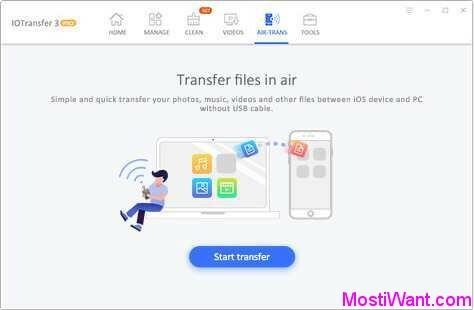 IOTransfer 3 update’s new Air-Trans feature simplified how users transfer their music, videos, photos and other data between iPhone/iPad and PCs. Users just need to connect their devices to the same Wi-Fi network, no USB cable needed any more. Air-Trans will search for available iOS devices nearby. After connecting via Wi-Fi, IOTransfer 3 allows users to wirelessly transfer multiple files at once. And the new added Clean tool will scan the iOS device and help remove cache and junk files to free up space to record more precious moment. Moreover, IOTransfer 3 Pro is also known as a Video Downloader, allowing users to download movies from more than 100 video streaming sites. Along with video downloading, IOTransfer 3 adds new Video Converter, making it possible to convert videos in MP4, MP3, AVI, MKV, MOV, and more to iOS compatible video/audio format and automatically transfer them to your iOS device. Overall, IOTransfer 3 is a great program for iPhone, iPad or iPad owners. With its help, users can back up iOS data to computer, copy files from local directories to Apple gadgets and completely handle their iPhone and iPad. iPhone WiFi Transfer – Unlimited transfer contents across iPhone, iPad and your computer. Wireless transfer files for iOS devices without USB cable. Advanced Phone Clean – One-click to delete junk files on iPhone/iPad/iPod Touch. Effectively free up storage space and speed up iOS system. IOTransfer Pro is normally priced at $24.99 per one year license key / activation code. But as part of the special giveaway, you can download IOTransfer 3 Pro full version with 6 months activation code for free. Interested users just need to visit the promo page here, enter your email address and press the “Get It Now” button (no need to Like or Share) to get the license code and download link by email. If the e-mail hasn’t arrived within 15 minutes, please check your spam, bulk or junk mail folder to locate it. Still working! I have just got one code for you. Please check your email for it.